Is itchy skin upsetting your equilibrium? At a minimum, it’s annoying. At worst, scratching can lead to bleeding and sores. Medicinal creams may help somewhat, but they often contain irritating substances. Antihistamines have side effects, including dizziness, confusion, drowsiness, and blurry vision. Medications can also be expensive. Desired results may be hit or miss. Some drugs are more like a band-aid than a cure. I prefer using home remedies, with convenient ingredients right in my home. I know exactly what’s in them, and they’re kind to my wallet. Some I take internally, healing from within. 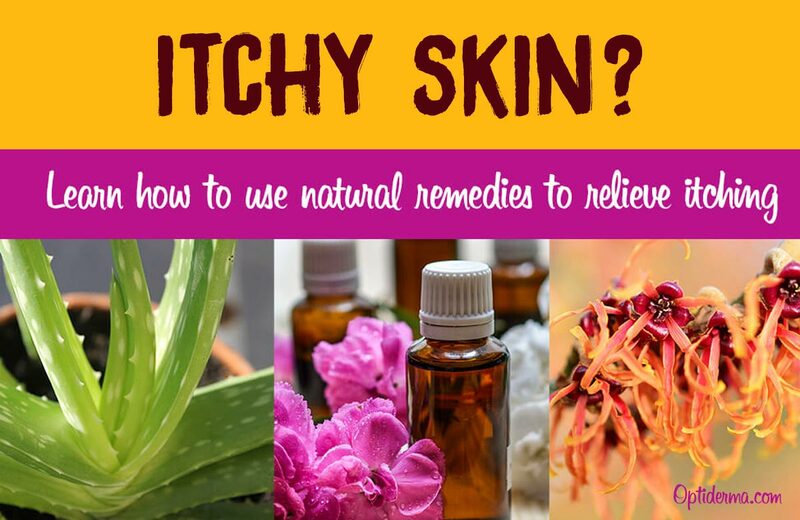 Here are proven natural methods to soothe itchy skin that I want to share with you. Are you familiar with the term pH? This abbreviation stands for “power of hydrogen ions.” Blood acidity and alkalinity are measured as a pH number. The pH scale ranges from 1 to 14, with 7 as the neutral point. Numbers below 7 represent acidity, and those above 7 indicate alkalinity. Our bodies try to maintain a blood pH around 7.4, which is slightly alkaline. However, an excess of hydrogen ions pushes pH into the acidic range. A diet high in acid-forming foods is contributory. Acids are eliminated through our skin, which can cause eczema, dermatitis, and rashes. The saliva of biting and stinging insects contains formic acid, another source of skin irritation. Bugs that leave itchy bites are bed bugs, black flies, chiggers, fleas, lice, midges, mites, mosquitoes, no-see-ums, spiders, and ticks. Stinging insects that cause pruritus are bees, fire ants, hornets, and wasps. Parched skin can result from the effects of sun, indoor heat, and low humidity. Sunburn and dandruff produce itchy flakes. Harsh cleansers strip your skin of its protective oils. Here’s how to tell if a product is too stringent. After cleansing, gently rub your skin. If the friction creates a squeaky sound, the product is removing too much oil. If your skin is “squeaky clean,” it’s likely dry. Pruritus can be prompted by dyes, synthetic fragrances, and chemicals in soaps. Other culprits are ammonia-based cleaners and detergents, especially phosphate-based. Skincare and hygiene products can leave irritating residues. Here are the most harmful skincare chemicals to avoid. To protect against such provocations, use natural skin cleansers, household cleaners, and laundry detergent. Certain clothing materials can be prickly, such as wool, acrylic, polyester, spandex, and nylon. To create a skin barrier against these fabrics, wear silk undergarments. Food allergies can induce itching, in which case a daily food diary can reveal sources. Drugs can incite widespread pruritus and rashes. Typical triggers are antibiotics, narcotic pain medications, and anti-fungal drugs. 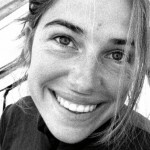 NOTE – Hundreds of agents can spur itchiness. If you’re baffled by the root cause, see a dermatologist. A skin specialist can likely identify it. Best For – burns, cold sores, dermatitis, psoriasis, rash, shingles, sunburn. Dubbed the “wonder plant,” aloe is a succulent whose leaves contain a healing gel. One of its components is vitamin E, reversing skin damage through cellular repair. B-sitosterol is anti-inflammatory and moisturizing. Aloe gel is also antibacterial. But that’s not the extent of this miraculous plant! Polysaccharides are hydrating and barrier-forming. Allantoin regenerates cells. Glycoproteins launch cellular reproduction. All these compounds working together relieve irritation, redness, and itching. “Wonder plant” is so apropos! Garden centers sell aloe plants. It’s wise to keep one in your home for emergencies, such as burns. However, for treating a chronic skin condition, using a leaf for its gel will likely yield just 2 tablespoons. For large skin regions, a better option is bottled aloe gel. You can buy it online and at health food stores. Choose a product that’s pure gel. Synthetic additives may intensify inflammation. For a 6×8″ area, smooth 2 tablespoons of gel over your skin. You’ll feel its cooling effect immediately! For larger skin areas, increase the dosage accordingly. Use daily until itching abates. 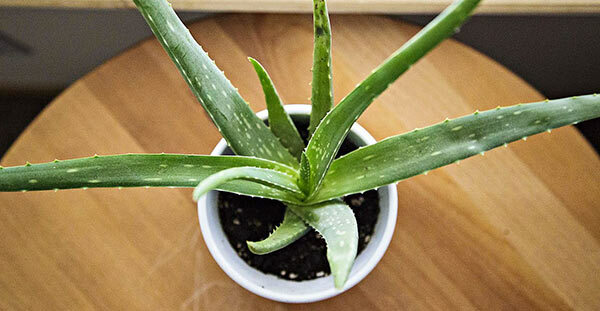 If you don’t have bottled gel on hand, here’s how to use a plant. Select an outer leaf from the base, near the soil. The lowest leaves are the oldest, containing the most gel. Using a sharp knife, slice the leaf close to the stem, without cutting into the stem. Slit the leaf open lengthwise, from top to bottom. Then, scoop out the gel with a spoon, and apply it to your skin. If the leaf still contains some gel, place it in a Ziplock bag and refrigerate it. It should remain usable for two weeks. Though uncommon, aloe allergy is possible. As a preventive measure, do a spot test. Rub a pea-sized amount on healthy forearm skin. Over the next two hours, observe for any redness, heat, or rash. Additional signs of allergic reaction are worsening, thickening, or spreading of a skin condition. In that case, try a different natural remedy. Best For – athlete’s foot, bug bites, chickenpox, dandruff, eczema, psoriasis, stings. Abbreviated ACV, apple cider vinegar is made by fermenting the sugars in apples. The process is done in two stages. First, yeast is added to crushed apples, fermenting their sugars and changing them to alcohol. Secondly, bacteria are introduced, turning the alcohol into acetic acid. Organic, unfiltered ACV contains a web-like sediment called the “mother.” It consists of protein strands, enzymes, and beneficial bacteria. ACV is antiseptic, anti-fungal, and anti-inflammatory. It balances the pH level of skin and destroys bacteria. 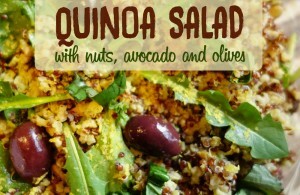 It’s also highly nutritious, rich in vitamins, minerals, and antioxidants. You can use ACV both topically and internally. 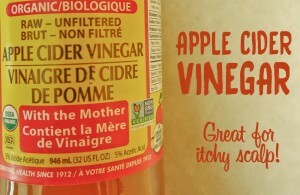 Externally, ACV thwarts the itch of bug bites and stings. It also boosts skin cell renewal and immunity, calming psoriasis and eczema. Internally, the vinegar has an alkalizing effect on the body. Dilute ACV with an equal amount of water. Twice daily, apply the solution to skin with a cotton ball. Make a paste of equal parts ACV and corn starch. Leave the poultice in place until itching stops. This method is especially effective for bug bites. Soak your feet in equal parts ACV and water for 10 minutes. Apply ACV to your scalp after shampooing and before conditioning. The rinse will also make your hair shiny! Soak in a bath of 2 cups of ACV and warm water for 30 minutes. You can do this up to three times weekly. Mix 1 tablespoon of ACV with 1 pint of water and refrigerate. Drink three times daily, 30 minutes before meals. 1. Always dilute ACV to avoid burning your skin, throat, and digestive system. Drinking it straight can erode tooth enamel. An allergic reaction is possible, evidenced by hives, dizziness, breathing difficulty, and palpitations. 2. If scratching has caused an open wound, do not apply ACV, as it will further injure your skin. Do not consume ACV if you have heartburn, chronic indigestion, peptic ulcers, or diabetes. If you take medication, obtain your doctor’s approval to ingest ACV since it can interfere with drug activity. Best For – acne, athlete’s foot, bug bites, chickenpox, dermatitis, eczema, hives, rash, scalp itch. This leavening agent, also called sodium bicarbonate, enables dough to rise. When combined with acid and moisture, the chemical reaction releases carbon dioxide gas bubbles. As the bubbles expand within dough, they create the airy texture of baked goods. Probably you already have baking soda in your kitchen cupboard. 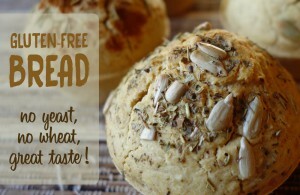 If not, you’ll find it in your supermarket’s baking section. Baking soda has anti-inflammatory properties that calm itching. With an alkaline composition, baking soda neutralizes the acids present in many skin conditions, such as eczema and dermatitis. The alkalinity of baking soda counteracts acidity. It also draws out impurities. Mix one part baking soda with three parts water. Pour the mixture onto your scalp. Massage it in, and allow to sit for 3 minutes before rinsing with lukewarm water. While running warm water in your tub, add 1 cup of baking soda to the water stream. Once the soda has dissolved, luxuriate for 30 minutes. After bathing, dry your skin by gently patting with a soft towel. This method works well for bug bites and rashes. Make a paste of one part baking soda to three parts water. Mix well, then dab the paste on troubled skin. After it dries, rinse off the paste with lukewarm water. Target itchy acne with this technique. After cleansing your face, mix 1 teaspoon each of baking soda and water. Gently rub the paste onto facial skin. After the mask dries, rinse it off. Repeat 2-3 times weekly. Fill a dish tub with 1 quart warm water and 1 tablespoon baking soda. Soak your feet for 15 minutes. Once dry, dust them lightly with baking soda before donning socks. In addition to combating itchiness, this method prevents sweating and odor. Best for – bug bites and hives. Are you an avid cook? If so, you likely have a supply of basil, the “king of herbs.” If you’re unfamiliar with this pungent herb, it tastes similar to licorice. Basil contains three anesthetic compounds – camphor, thymol, and eugenol. Numbing nerves, they alleviate the itch of bug bites. They also reduce the pain of other skin conditions, such as hives. Antibacterial and antiseptic, basil quells infection. If you have fresh basil on hand, crush the leaves, and rub them directly on your skin. If you have dried basil in your spice cabinet, add 1 tablespoon of the herb to 16 ounces of boiling water. Allow it to steep for 5 minutes. Once cool, apply the leaves. Topical use of basil is contraindicated during pregnancy, posing a risk of abnormal cell development. Best For – acne, bug bites, burns, chickenpox, eczema, poison ivy, poison oak, rash, psoriasis. Calcium bentonite clay is a natural detoxifier, sold in powder form. Mineral-rich and chemical-free, this clay is hypoallergenic. Consisting of aged volcanic ash, it swells when mixed with water, acting like a sponge. Its negatively charged ions attract positively charged irritants, such as toxins, allergens, and microorganisms. Offenders are drawn into the clay and eliminated from the body. With a velvety texture, the clay is odorless and non-staining. Bentonite clay relieves the itch of bug bites. Over time, it improves psoriasis and eczema. It also calms the welts of poison ivy and poison oak. Make a poultice of bentonite clay by slowly adding water until the paste has the texture of creamy peanut butter. If the paste is too thick, it won’t spread well, and if too runny, it won’t adhere to your skin. If the poultice is mixed in a metal vessel, it loses effectiveness. Preferably, mix the clay and water in a glass jar with a plastic whisk. Apply the paste to affected skin, allowing it to dry completely before rinsing off. For severe skin conditions, apply a thick layer of clay paste and cover it with wet gauze, secured by bandages. Change the poultice every two hours. Twice weekly, make a clay paste and apply to facial skin. Leave on for 20 minutes before rinsing off. Add 1/4 cup of clay to warm bathwater and soak for 30 minutes. Best For – bug bites, eczema, psoriasis. You probably have cloves in your kitchen, though perhaps not juniper berries. They’re not commonly stocked in grocery stores, except for Whole Foods. 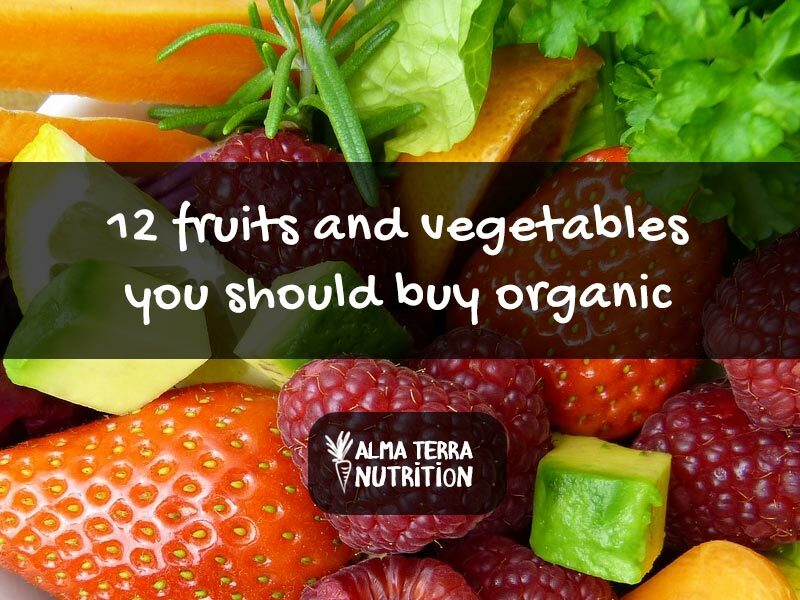 Health food stores may also sell them. 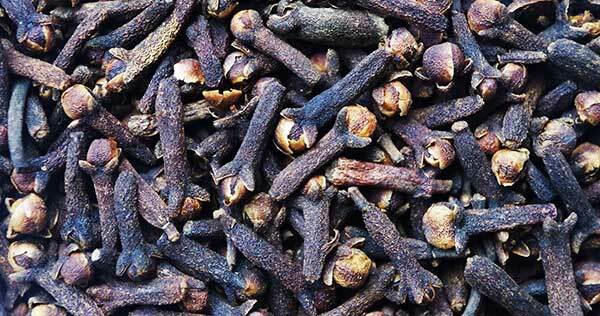 Cloves contain the numbing agent eugenol. Juniper berries are anti-inflammatory. With the addition of beeswax, you can make a soothing salve. For this salve, you’ll need unsalted butter, beeswax, ground cloves, and ground juniper berries. Melt 6 tablespoons of butter and 2 tablespoons of beeswax in separate saucepans. Then mix the liquids together, adding 5 tablespoons of ground berries and 3 tablespoons of ground cloves. Stir well, and measure out a portion to cool. While the rest of the mixture is still warm, pour it into an airtight container for refrigeration. The salve should keep for three months. For a longer shelf life, add vitamin E oil from a gel cap. The vitamin acts as a preservative and healing agent. Apply the cooled salve over itchy areas, leaving it on overnight. In the morning, rinse off the salve. You can repeat this treatment daily. Topical application of juniper berry is contraindicated during pregnancy since it can stimulate uterine contractions. It also poses a health risk for nursing mothers, children, and people with liver or kidney disease. Best For – acne, bug bites, burns, chickenpox, dermatitis, eczema, hives, poison ivy, poison oak, prickly heat, psoriasis, rash, rosacea, shingles, sunburn. Oatmeal is King of Itch Relief! It pacifies just about every type of skin irritation. The colloidal form works best and is easiest to use. Ground into a fine powder, the oats disperse in water rather than sinking. The result is a milky white bath. If the idea of bathing in oats seems gross, you’ll be pleasantly surprised! Colloidal oatmeal is silky. After soaking in it, your skin will feel soft and moisturized. Credit goes to the soothing effects of saponins and avenanthramides. Saponins are plant compounds with cleansing properties that foam when mixed with water. Avenanthramides are a unique type of antioxidant only present in oats. Oatmeal also restores normal skin pH. You can also make colloidal oatmeal at home. First, buy regular oatmeal, not the instant kind. Then you need a grinding appliance, such as a blender, food processor, coffee grinder, spice mill, or grain mill. Pulverize the oats to the finest powder possible. If the grinds are too coarse, they’ll sink to the bottom of your tub. While running lukewarm water in your tub, add 2 cups of oatmeal to the water stream. Then, enjoy a relaxing soak for 20 minutes. Afterward, pat yourself dry with a towel. If a skin condition is severe, do this three times daily. Mix 2 tablespoons of oatmeal with enough water to make a paste. Apply the mixture to itchy skin, and leave in place for 30 minutes. Then rise off with warm water. 1. Colloidal oatmeal leaves a protective film on your skin. Your tub surface will also be slick. Be careful entering and exiting, so you don’t slip and fall. To be safe, place a mat with suction cups on your tub floor. 2. This type of oatmeal is only suitable for bathing, not eating. Best For – bug bites, chickenpox. The sensations of cold and itching course along the same nerve fibers. However, cold decelerates nerve impulse transmission, reducing itchiness. Run cool tap water over affected skin until itching abates. Soak a cloth in cold water. Place it on the itchy area for 20 minutes. Cool showers and baths are ideal during summer. NOTE – One modality that won’t help is heat. Hot water draws protective oils and moisture from skin. In addition to being drying, a hot soak leaves distressed skin even more irritated. Heat increases inflammation by expanding blood vessels and tissues. Best For – burns, cold sores, eczema, rash, shingles, sunburn. The herb lavender has four benefits. In addition to calming rashes, it mollifies frazzled nerves. Acting as a natural antihistamine, it allays inflammation. Being astringent, it deflates swelling. You’ll feel its effects immediately! Lavender is one of two essential oils that doesn’t need dilution. The other is tea tree. However, in general, it’s wise to always dilute essential oils. Since they’re very potent, dilution won’t diminish their effectiveness. A carrier oil is a vegetable oil derived from seeds or kernels. Adding it to essential oils protects your skin from irritation. It also improves absorption by slowing evaporation. Of the 25 options for carrier oils, four are highly recommended – coconut, olive, sunflower, and sweet almond (see below). A safe, 1 percent dilution ratio is 6 drops of essential oil per 1 ounce of carrier oil. One ounce equals 2 tablespoons. For children and senior adults, use half this amount. Mix 6 drops of lavender oil with 2 tablespoons of carrier oil, and rub gently over itchy skin 2-3 times per day. Mix 3 drops of lavender oil with 1 tablespoon of carrier oil, and soak for 20 minutes. You can further enhance the benefits of essential oils! Add 3 drops of vitamin E oil for every ounce of carrier. An easy way is to puncture a gel capsule and squeeze out the oil. Vitamin E rejuvenates skin, heals scar tissue, and prevents carrier oils from turning rancid. 1. If you take prescription medication or have a medical condition, ask your pharmacist’s advice regarding possible drug interactions with essential oils. 2. A minority of people may have an allergic response to lavender oil. As a preventive measure, first do a patch test. Mix 1 drop of essential oil with 1 tablespoon of carrier oil, and apply it to healthy forearm skin. Observe the area over two hours to asses for a reaction. If skin becomes hot, red, or develops a rash, use a different natural remedy. 3. Before using lavender oil, pregnant women should wait until their second trimester. If not present in your kitchen, you can buy these oils at health food stores. Medium chain fatty acids are antimicrobial and moisturizing. The thick oil creates a protective film on skin. Coconut oil has the distinction of being solid at room temperature, melting quickly at 75°F. Emitting a relaxing fragrance, it has a long shelf life and is relatively inexpensive. Thick with a slippery feel, olive oil contains oleic acid, an emollient omega fatty acid. Costing more than the other three oils, it has a strong fragrance. Excellent for eczema and psoriasis, this oil is rich in vitamin E, oleic acid, and lecithin. With a slight aroma, sunflower is the least expensive of these oils. High in protein and vitamins A, D, and E, this oil is especially nourishing for dry skin. With a nutty and slightly sweet fragrance, it’s quickly absorbed. Note that it must be refrigerated. Best For – acne, dandruff. Lemon is an option if your skin isn’t sensitive. Acetic and citric acids are antiseptic and anti-inflammatory. They’re also numbing agents. Lemon juice exfoliates skin, removing the top layer of dead skin cells, promoting a smooth complexion. Squeeze the juice of a lemon wedge into a cup, and dilute with an equal amount of water. Saturate a cotton ball in the liquid and apply. Allow to air dry. Repeat twice daily until the condition abates. Mix equal parts lemon juice, aloe, honey, and water. Smooth over skin, wait 3 minutes, and rinse with warm water. Dilute fresh lemon juice with water, and massage the solution into your scalp. Leave it on for 5 minutes before rinsing out. Repeat daily until dandruff resolves. 1. Dermatologists warn against rubbing a lemon wedge on facial skin. To avoid a skin burn, always dilute lemon juice. 2. If you’ve left lemon to air dry on your skin, avoid sun exposure immediately afterward. Lemon increases sun sensitivity, making skin prone to sunburn. 3. Lemon is contraindicated with topical acne medications. Best For – bug bites, dermatitis, rash. Ditch discomfort with two anti-itch components in this cooling herb. Menthol and rosmarinic acid are anti-inflammatory and anesthetic. Both constituents are quickly absorbed into skin. Use peppermint in the form of tea or essential oil. Supermarkets sell the tea bags, and health food stores carry the essential oil. Add two peppermint tea bags to 1 pint of boiling water. Steep for 5 minutes and let cool. Dip a washcloth in the tea and place on itchy skin. Mix 6 drops of peppermint oil with 2 tablespoons of carrier oil. Massage the mixture into your skin. 1. Peppermint oil is contraindicated for children. 2. For most people, peppermint oil is non-irritating. 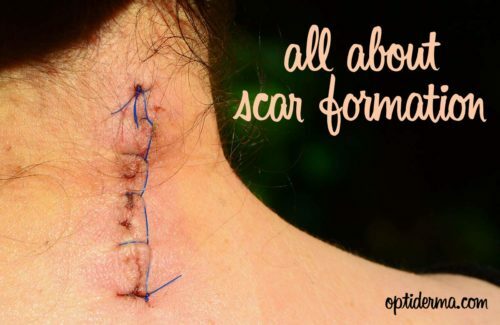 However, if you have sensitive skin, do a patch test before treating a large area. Mix 1 drop of essential oil with 1 tablespoon of carrier oil, and apply it to healthy forearm skin. Observe the area over two hours to asses for a reaction. If skin becomes hot, red, or develops a rash, use an alternative natural remedy. Best For – acne, blisters, bug bites, burns, chickenpox, cold sores, dandruff, dermatitis, eczema, hemorrhoids, poison ivy, poison oak, psoriasis, rash, sunburn. You may have seen this pretty shrub flowering in the fall through early winter. For this reason, it’s also called winterbloom. The plant’s fragrant flowers resemble firecrackers, popping with yellow ribbons. Its twigs, leaves, and bark have healing properties. Witch hazel is astringent, anti-inflammatory, and antiseptic. Like basil and cloves, it contains the numbing agent eugenol. It also protects the proteins collagen and elastin that keep skin supple. The active constituents in witch hazel are tannins and polyphenols, two types of antioxidants. Tannins have astringent qualities. Polyphenols are anti-inflammatory. To tame an itch on oily skin, saturate a cotton ball with the liquid, and swipe it across your skin. For dry skin patches, dilute witch hazel with a dollop of aloe, and massage into skin. Massage a few drops of witch hazel into your scalp before shampooing. Witch hazel is widely available in pharmacies. Some brands are formulated with alcohol, suited to itchy acne and welts. Other brands contain aloe, ideal for moisturizing. Just make sure the label displays the scientific name for witch hazel, Hamamelis virginiana. Before obtaining relief from a home remedy, you can feel driven to scratch. Here are endurance tips for the interim. Combat the urge to scratch by covering the area with a bandage or clothing. For peaceful sleep, wear cotton gloves. Stay hydrated. Itchy skin is worsened by dehydration. Always carry a water bottle, sipping from it throughout the day. Keep an “Itch Kit” in your car and at work. For a carrier, consider a plastic container with a snap-top lid, such as Tupperware or Rubbermaid. These vessels have the advantage of being see-through, stackable, and water-repellent. Alternatively, use a small handbag or backpack. Fill your kit with portable items, such as vials of aloe, apple cider vinegar, clove and juniper salve, and lavender oil. Alcohol swabs are convenient for spot treatments. Add cotton balls for application and bandages for protection. Now you know how to nix the itch of several skin conditions. Many Optiderma readers are seeking relief from acne, bug bites, dermatitis, eczema, psoriasis, and rosacea. If you’re among this majority, here’s what I suggest. Depending on what you have on hand, try baking soda, clay, colloidal oatmeal, lemon, or witch hazel. Here are additional tips for resolving acne. Based on what’s most convenient for you, treat bites and stings with apple cider vinegar, baking soda, basil, clay, cloves + juniper berries, colloidal oatmeal, peppermint, and witch hazel. During summer, cool water is very soothing. With the help of these blogs, you can ward off bug bites. For general skin irritation, your best options are aloe, baking soda, colloidal oatmeal, peppermint, and witch hazel. Also, browse these dermatitis blogs. Opt for apple cider vinegar, baking soda, clay, cloves + juniper berries, colloidal oatmeal, lavender, and witch hazel. Here you’ll find detailed information on eczema. Try aloe, apple cider vinegar, clay, cloves + juniper berries, colloidal oatmeal, lavender, and witch hazel. 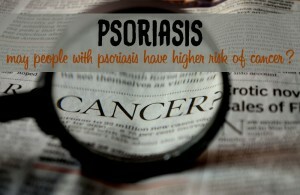 Here’s a wealth of information on psoriasis. I recommend colloidal oatmeal. Here you can read further about managing rosacea. Refer to the “Best For” tips for each remedy above.